Here is the latest from our customers! This item was a good buy. It was delivered on time and at a great price. The packaging was efficient and actually fun. It really is comfortable and I was shocked by the value. We have had our king size mattress for about two months now and are very pleased with. My husband is 6’5 and I’m 5’3 and we both sleep well. Our four year old also comes in in the night and there is plenty of room for us all. We used to wake up with sore shoulders and hips, now we wake without any pain. I was a little nervous about purchasing a mattress that I had to order without laying on it but this was a really good decision. It comes rolled up but quickly adjusts. I didn’t notice any off gassing odors, and I’m kind of sensitive about that sort of thing. I bought this mattress for my daughter (12 years old) and now when her friends want to have a sleepover they fight over who gets the bed! She loves it and says it’s like sleeping on a cloud. The best thing for me has been that I don’t have to tell her twice to get ready for bed! I highly recommend this mattress! Mattress came rolled up and in a box which worried us since it looked like it was too small. Once we unrolled it and found that it was a nice mattress we were surprised but also glad to know it was what we expected to get. I would buy one again versus the department stores since the quality is the same for a lot less. I was dreading buying a mattress for my new apartment. By others I was convinced I needed to find one in-store and certainly not order one that comes in a box. I’m so glad I took the time to browse online. For years, I’ve had hand-me-down mattresses and the ever horrible “Bunk bed” mattresses. This is comfortable, decently priced, and in a box. It made moving it in SO simple and so much easier. Bed time never felt better! This mattress was delivered in a box and is only 65lbs which worried me. I thought it was going to a little heavier and off not delivered in a box. Once I slept on it, I definitely fell in love with. It’s very soft and comfortable. So, if you’re looking for great value without giving up comfort. I would recommend this mattress. We’ve had the bed for a few weeks now and it’s amazing. I prefer a firm bed and my husband prefers a soft one. This is the perfect medium to satisfy us both. It is extremely heavy, I suggest only unboxing in the rowill be in. It came to life instantly, and the top took about 5 hours to puff completely. We have slept on just the floor and now a platform bed-it feels much better with support! I was very nervous about purchasing without any reviews to refer to, but it was 100% worth the risk! I have fell in love with this mattress. Finally getting a good nights’ sleep. I can wake up and not have back pain. Thank goodness I saw your ad. From now on if I need something I will check Overstock for sure. This is a great purchase! Delivered straight to my door and was exactly the way the item was described. I was skeptical at first glance but that quickly diminished. I would buy another! comfortable but the Mateo is constructed with springs as well. 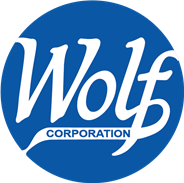 The price is amazing on both and Wolf has found a way of compressing them to allow for economical shipping. I am using them in a guest room but will purchase the same brand whenever I must replace a mattress in the future. A very good deal. Love this mattress and arrived right away. Firm but comfortable. This mattress was better than expected. The perfect feel and not too firm.